For most of the organizations, big data means raw unstructured data present in incredible volumes. It is an untapped resource of both information and intelligence that can support business in enhancing its operations by making real-time decisions based on accurate information. With the increase in the amount of data, the importance of predictive analysis has been increasing for organizations so that they can tap into this untouched universe. Most of these organizations are looking for data analysts who can help them in capitalizing everything that predictive analysis has to offer. So, if you are looking into entering the world of predictive analysis, getting a SAS certification in Delhi or Gurgaon at PST Analytics can help you form a better path. Many people think that machine learning and predictive analyses are the same thing. However, that is not the case, predictive analysis encompasses some statistical techniques and uses stats to predict future results. These results can be on the behavioural changes of a customer or the changes in the market. One can say that predictive analysis can help in predicting future outcomes by analysing the past. Predictive analysis is mainly driven by predictive modelling. It goes hand-in-hand with machine learning as the models include various machine learning algorithms. These models can be programmed to respond to new values and data, helping in deliver the information the business requires. Predictive models are mainly classified into two types; the classification models, which predict class membership and regression models, which predict a number. These models are built from various algorithms that perform data mining and analysis to determine data trends and patterns. 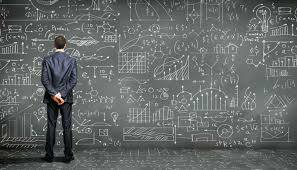 The algorithms used are defined as classifiers; as they help in identifying the category in which data belongs. Decision trees are simple models in design but provide powerful form of analysis of multiple variables. These are produced by various algorithms that can identify different ways of splitting data into branch-like segments or parts. The decision trees help in differentiating data into different subsets based on the categories of the variables provided. Thus, helping one in understanding any path of decisions taken by someone. Regression has always been one of the most popular methods of statistical analysis. It helps in estimating the relationship between different variables. Therefore, helping in finding a pattern in a large number of unstructured data sets and how they are connected. Patterned similar to the working of neurons in the human brain, neural networks are a diverse collection of deep learning technologies. They are normally used to solve problems that have complex recognition patterns; they are incredibly helpful in analysing a large number of unstructured data sets. These networks are an exception in handling data with non-linear connections and work well if the variables are unknown. Financial Sector: In the financial services industry, predictive analysis is used to measure market risks, reduce fraud and identify investment opportunities. Retail: Retailers nowadays are using predictive analysis to get a better understanding of their consumer’s buying behaviour. They can find out the time when a customer prefers to buy products, what products are most in demand which can help them in planning and producing products according to seasonality and requirements of the customers. Therefore, increasing their ROI. Security: Cybersecurity has been at the top in the business agendas of every organizations. Predictive analysis can play an important part in enhancing the security of any organization. It can detect anomalies, frauds and help in understanding the security concerns of the customers. In the end, one can say that the impact of predictive analysis on the way organizations use big-data will be high. Combined with machine learning, predictive analysis will help in driving high ROIs to organizations. So, hurry up get a SAS certification in Delhi and ride the wave of change with predictive analysis of big data.